Forest and Landscape Restoration (FLR) is a process that aims to restore ecological integrity and enhance human well-being in landscapes that have lost forest cover, forest quality and forest resources that are of importance to communities and their livelihoods. Although there are guidelines and tools available to guide the general process of landscape restoration, we still lack the means to operationalise FLR on the ground: assessing the extent to which we have engaged in FLR matters to ensure we maximise the chances of success. WeForest is collaborating with key partners to lead an international effort to develop an FLR quality framework and tools to promote better outcomes and practices of the actions around the world. In 2017, WeForest spearheaded the formation of The Forest and Landscape Restoration Standard (FLoRES) Taskforce, a group of international experts from government, NGO and research organisations committed to developing a framework and tools to support quality outcomes. Read the full FLoRES brief here. 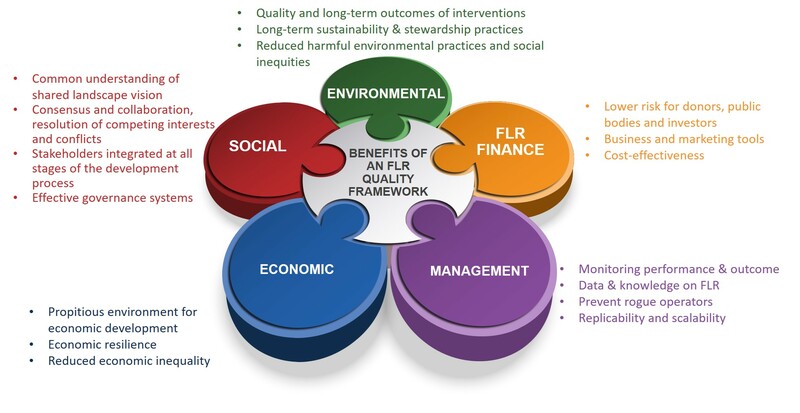 To date, FLoRES has held three international dialogues across three continents to consult with a wide range of stakeholders on the need for, feasibility, and opportunities of FLR standards, and the quality framework. Read more about the work of FLoRES.